THAT COULDN'T BE TOLD 40 YEARS AGO. readers ready to be gripped by his story won't want to miss this important and shrewdly-written book. August 14, 2009: "Lynette "Squeaky" Fromme was released about 8 a.m. today," prison spokeswoman Maria Douglas told ABCNews.com. She had finished her term at the Federal Medical Center Carswell in Fort Worth, Texas. Fromme took aim at Ford with a semi-automatic .45-caliber pistol Sept. 5, 1975. There were four bullets in the gun's magazine, but none in the chamber and an alert Secret Service agent grabbed the gun from Fromme. 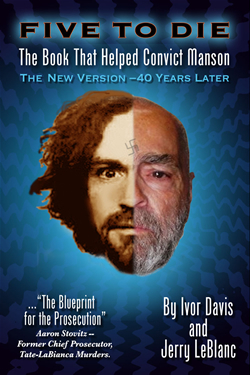 At the time of the assassination attempt, Manson and several of his followers were serving life terms for killing nine people in his grisly Helter Skelter plot to start a race war. Fromme told her defense attorney that she targeted Ford because she wanted to garner attention for a new trial for Manson.